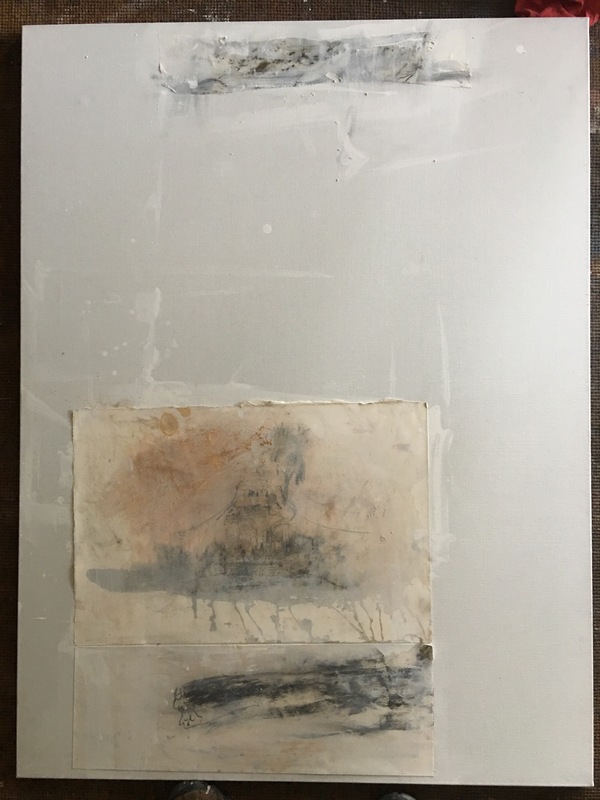 I placed frottage application of BFK Rives with compressed charcoal and graphite onto the canvas with gesso and then brushed some diluted gesso over the frottage. 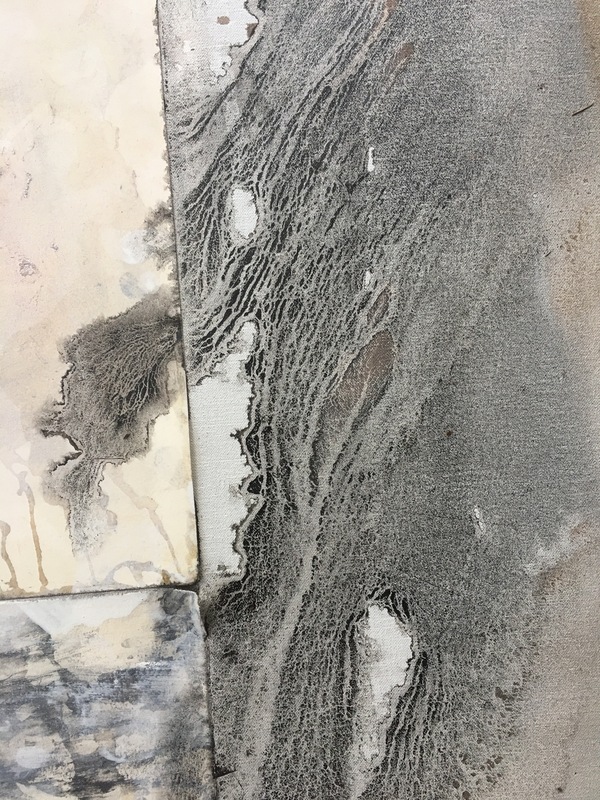 The first two images are details showing different paint viscosities blending and forming different wet in wet texture. 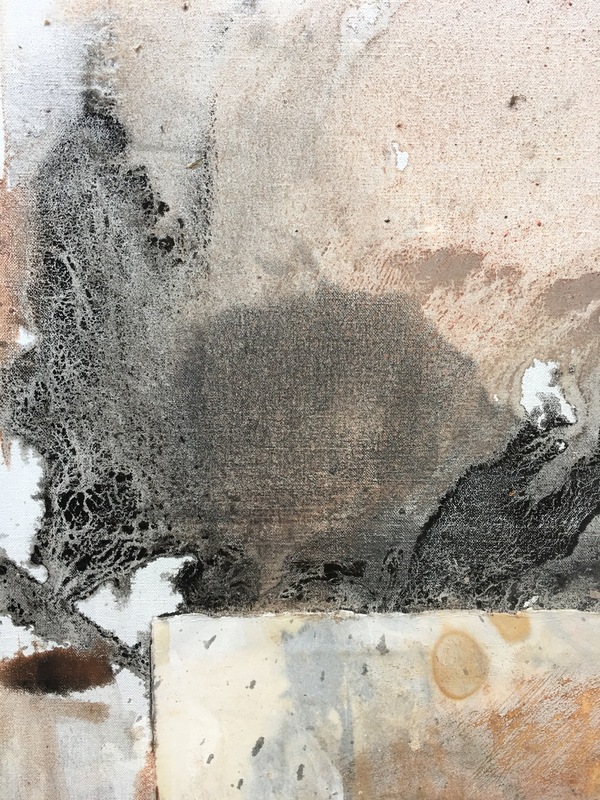 The third image is the complete composition and the last is the first stage before paint viscosities form different textures. 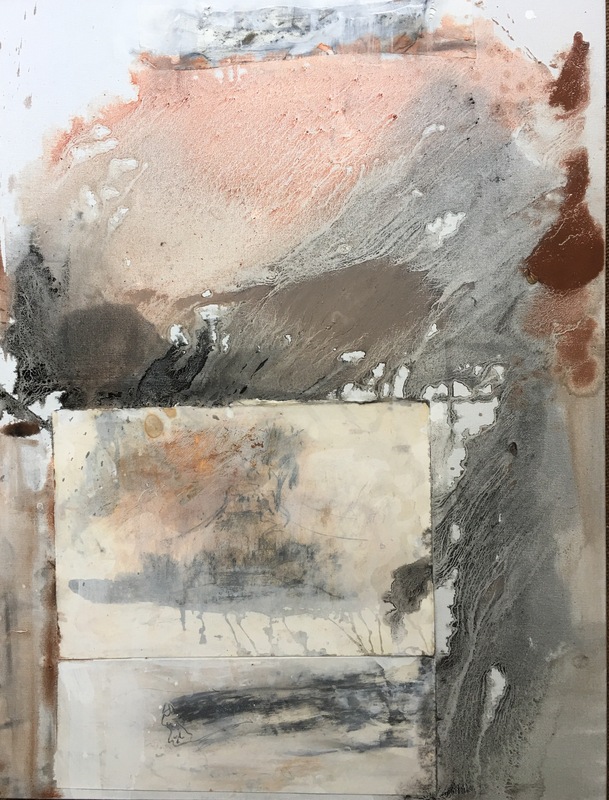 Grated oxide pastel combined with gesso also made earthy texture. Powdered red oxide also has a similar effect but more intense so I use it sparingly. I want to avoid over-working this one and keep the dry parched effect.